Upon each guests arrival, they each got a box with all of their car’s sticker decals and tickets for buying treats at the concession stand. You can buy the printable PDF file here. They spent time decorating their cars and exchanging tickets for movie theater style confections. They had five tickets each to spend on a variety of delights like: lemonade, popcorn, licorice, smarties and animal crackers. And Bonus! Pretty much mess-free. Guest then took their filled snack boxes back to their cars and watched the show (a 20 minute episode of Curious George.) Then after the screening, Olive opened presents and they sang and ate cake and ice cream. 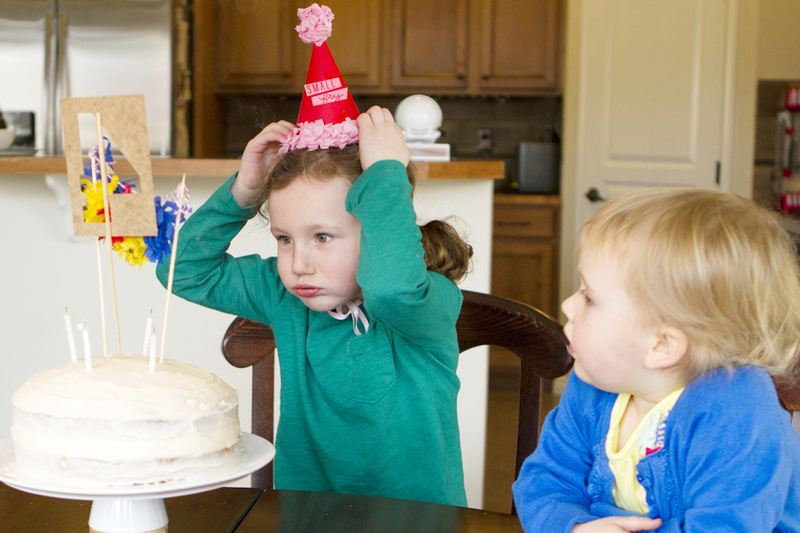 At just about one and a half hours long, the party was just long enough for kids to enjoy themselves and short enough to avoid those party melt-downs. Here’s Olive the birthday girl! While the party required some preparation time in advance for cutting out the cardboard for the cars and the sticker decals, Andi loved how simple and smooth the party went from start to finish. Doesn’t it look so sweet! We’re sure it was a huge hit. 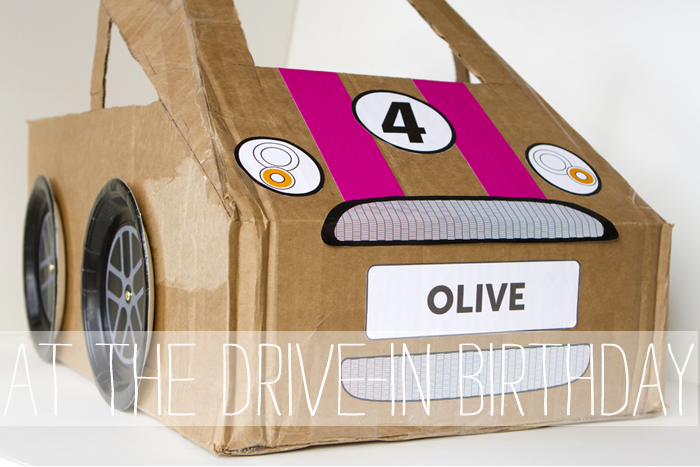 Need more birthday ideas? Here’ a Peach Picking First Birthday and Super Hero Training! ohmygoodness, this is absolutely adorable! I want this for my birthday party! such a cute idea, i will keep this in mind for next year! What a great idea! We’ll have to give that a go! 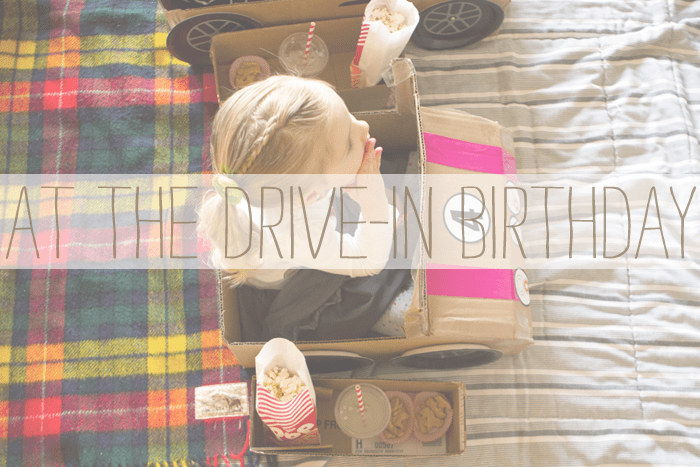 Would you mind sharing the font you used in the first picture (At the Drive In Birthday)? 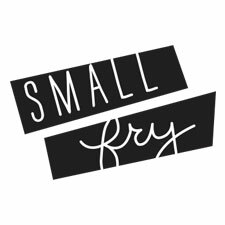 small fry birthday hat! i looooove that little sneak! andi is the ultimate… she’ll blow your mind with creativity AND cost effectiveness…. a skill i oughtta pick up on. not to mention her designer husband…. who makes all things possible. What a great idea! Plus I loved that she kept the party short. I got talked into a three hour first birthday party. Hmm did not work at all. The guest of honor fell asleep. Next time I will definitely be keeping this time frame in mind. Oh my word. this is the most amazing birthday theme I have ever seen. EVER. I like that it was short and sweet. I am currently planning my son’s first birthday, and I just want something simple, short and sweet. Obviously he’s not old enough for this one though. Soon enough!! my kiddos would LOVE this! such a cute idea! thanks for sharing it! 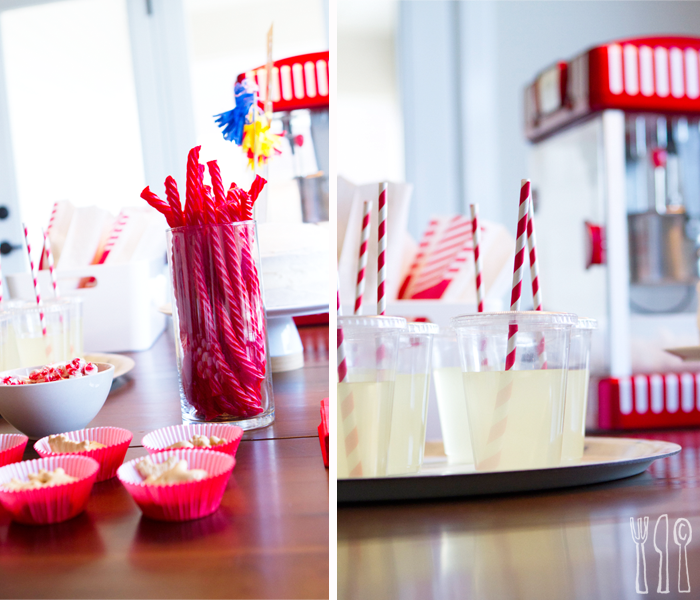 LOVE LOVE LOVE this party idea!!! Super-cute little cars & the kids all look hypnotized by whatever they are watching! I want a grown-up version of this at my next birthday! Pingback: National Drive-In Movie Day – June 6th | events to CELEBRATE! I love this and think it will be perfect for my son!!! Do you mind sharing if you used a certain type of box? Or do you have a tutorial for it???? Love it!!! Thank you for this idea! My son is turning 3 in December and it’s great for the winter season. Do you have any “blueprints” on the cars? I could certainly try to do each offhand but it would be super helpful to have a design to work from! The windshield part is my biggest burden i think! Thanks in Advance!